Unique Stays Auz is a family-run business, offering a collection of bespoke holiday homes in Australia. Each of our properties offer a signature relaxed charm, personalised service, and are lovingly renovated and equipped with all of the modern luxuries to create a memorable ‘home away from home’ experience. We have hand-picked locations that are special to our family, to share with others. The focus is on providing a personalised, professional experience which we hope will help our guests craft their own new sunny memories. Wynola at Boomerang Beach is our iconic, Queenslander coastal guesthouse on the NSW Mid North Coast. We look forward to sharing our other properties with your family and friends soon! 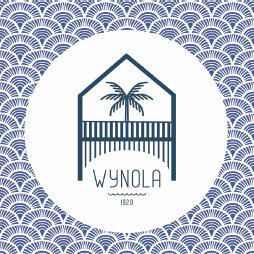 Wynola is a 1920’s Queenslander holiday home, and a striking grand dame. As you pull up to the picket fence by the beach, it’s hard not to fall for the beauty and charm of this property with its elegant coastal palette. Recently relocated from Brisbane, this four-bedroom property has been restored to its former glory with high ceilings, pastel stained glass, intricate timber detailing and over-sized verandahs that capture the coastal breeze. A beachside location, the sands of Boomerang Beach are right across the road. 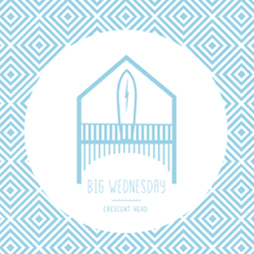 Big Wednesday has been named after the iconic movie, which was loved for its waves and laidback cool. Our beach cottage on the Mid North Coast of NSW has been designed to emulate this same coastal-cool. A Queenslander-style holiday home, this 3-bedroom property has recently been given some fresh love with renovated interiors, complementing the original features including pastel stained glass and intricate timber detailing. Explore the area’s top waves and beautiful natural icons of the destination from this character-filled cottage. Please provide your email address below to be notified of news, updates and specials.